Budgets – Love ’em or hate ’em? We all have secrets that we don’t want to get out. In my financial life, there are some expenses that I just can’t share with the blogging world. However, today I finally have to come clean about something. I have a public financial confession to make. Here it is in his own words. I hate budgeting with a passion. Why does a Personal Finance Blogger Hate Budgeting? I haven’t always hated budgets. I mean, I’ve probably gone a few weeks at some point with a strict budget when I was in college. I want to save money, but I don’t want to have restrictions on what I do. I love freedom and I love to enjoy my money. Is Budgeting all that Bad? Not at all. Every single trick works when you’re just getting started. You need everything and anything to help you get out of out debt. For example, for the longest time I was the biggest fan of saving your change from the day. I would put all of my change into a coin jar every single day. I would then count this money and get excited over how much change I accumulated. I eventually stopped caring because I realized that I should have less money available to me. Now I use my credit card for shopping and it allows me to easily track my spending because it’s all there in a spreadsheet. If you’re new to personal finance, then you might need a budget just to figure out where you stand and what requires immediate improvement. You might want to budget and take inventory of your spending for the first little while. Then as you improve, you can stop stressing about every cup of coffee. Since I blog about personal finance, I’m clearly a huge fan of the idea of saving money and trying to get ahead. I’ve always been a greedy kid. I’ve also always avoided debt because I never understood the idea of spending money that you don’t have. I put money away into my savings account , FIRST. I leave money in my checking account for whatever (food, gas, food, more food, and going out). I try to limit how much I spend. I only buy things that I need. Yes, I need a few cups of coffee per day. I invest my money where I see fit. I try to increase my income constantly. This could be freelancing or even selling random crap. That’s my process. I’m not saying that it will work for you, but it works for me. Another key point, focus on increasing your income. Frugality can be creative at times. After a while it gets boring. Making more money never gets boring because there’s always another way to make money. Don’t believe me? I have proof that you can teach anything for dollars. I totally get why and how budgeting works. It just isn’t for me. If it’s working for you, then that’s awesome. Whatever helps you save money and get ahead, is the best move. Just don’t feel like you have to write down every purchase. Martin of Studenomics, helps you reach financial freedom by 30. Life’s too short to be in debt! 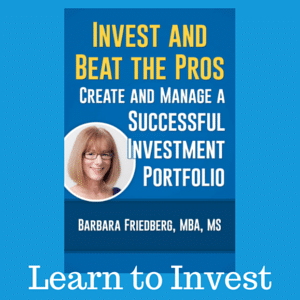 Check out his recent article on investing $1,000 for fast results. Martin, I think your ‘affliction’ is very common. 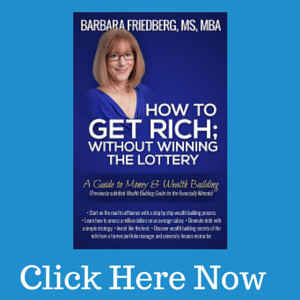 The free Guide to Creating a Family Budget I offer has been downloaded a whopping total of 10 times, while Understanding Your Credit Score has been downloaded nearly 300 times. That says it all! When I first graduated college, a budget was great to keep me out of trouble and understand where the money was going. Years later, I was married, and we funded our retirement accounts, college fund, and a bit extra to the 7.5% mortgage. For the fact that our savings account kept growing, we felt that a formal budget wasn’t needed. I consider what we did to be “top down” as we had accounted for a large portion of our income from these expenses, and didn’t feel compelled to track the rest. Now, as we approach retirement, it became important to know exactly what we spend on each line item. We found that some things were higher than we’d have expected, and some right on target. A layoff hit both of us, and being a bit too young to start the retirement 4% rule, I decided I’d do something completely different than the job I just left. My wife is deciding what she’d like to do. The budget exercise made us comfortable with this change in our lives. Hey Kurt. Thanks for sharing that. Why do you think it is? I imagine many of us just don’t want to feel restricted. My budget is just a guide to help establish my financial goals. I set up a payroll deduction for my retirement savings and live on what is left. I do go further by reviewing my expenses every month too. 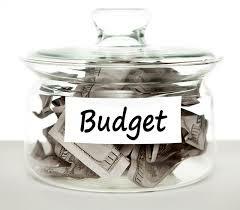 @Joe, What a superb picture of how personal the budgeting decision is. And for all there are periods when we need to be more detailed with our income and expenses and other times when a more gradual approach is just fine. Best of luck in this new phase in your lives. 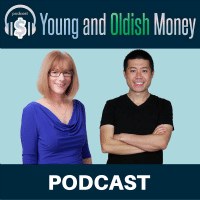 @Kratnc-Back in the day, Jane Bryant Quinn suggested “your method” as a super easy way to save for retirement, not overspend, and get by just fine without a budget. Barb, Thanks for the honest reveal. Don’t tell anyone but I do the same thing. Budgets are no fun and a pain. But we still recommend them because many people need their structure for financial success. Any other secrets you can tell us? Actually, lots of folks do just fine financially without a budget, the key is to automate the saving and investing first. Then your future is taken care of!! Stick around for more secrets.